Research is one of the major drivers of Australia’s economic growth and competitiveness in the global market. The success of Australia as a knowledge based economy will depend upon our ability to innovate – to generate new knowledge, ideas and technologies through research. Research may be driven by curiosity or influenced by specific industry needs. The innovations arising from this research activity must be utilised to achieve economic, social and cultural benefits. 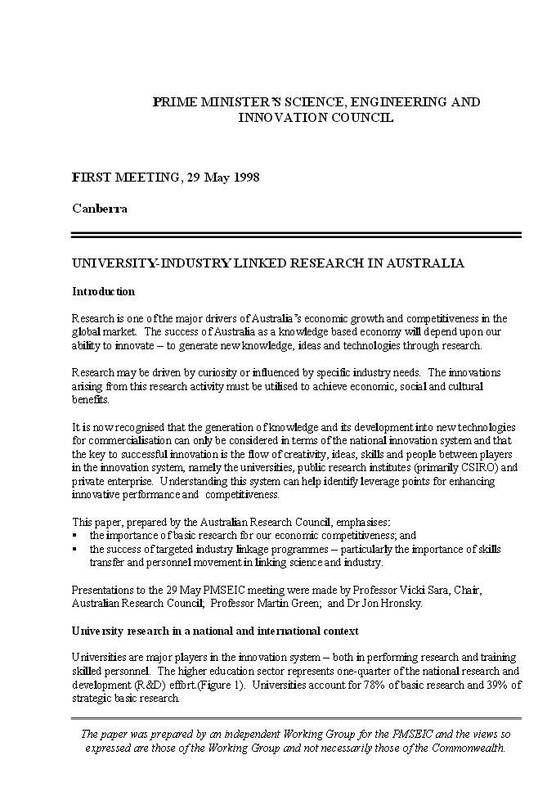 It is now recognised that the generation of knowledge and its development into new technologies for commercialisation can only be considered in terms of the national innovation system and that the key to successful innovation is the flow of creativity, ideas, skills and people between players in the innovation system, namely the universities, public research institutes (primarily CSIRO) and private enterprise. 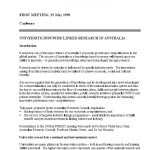 Posted in Asia Pacific, Economy, Education, Federal, Innovation, Technologies and tagged Australia, economic growth, global market, Industry, Innovation, innovation system, knowledge based economy, linked research, national innovation system, PMSEIC, private enterprise, public research institutes, Research, research activity, University.